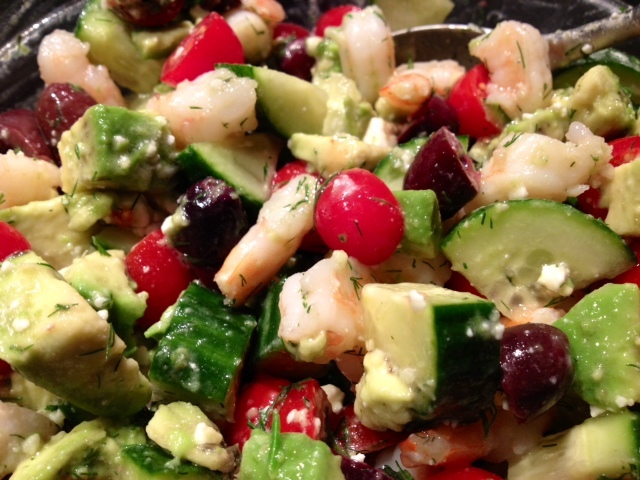 Shrimp Salad With Cucumber, Avocado, Tomato, Olives, Feta, Dill & Lemon. We obviously did some serious eating on our honeymoon, so when we returned I really wanted to eat fresh and healthy meals to get back on track. This salad is great because it’s light, but also filling and flavorful. Begin by heating 1 tbsp of olive oil on medium-high heat. 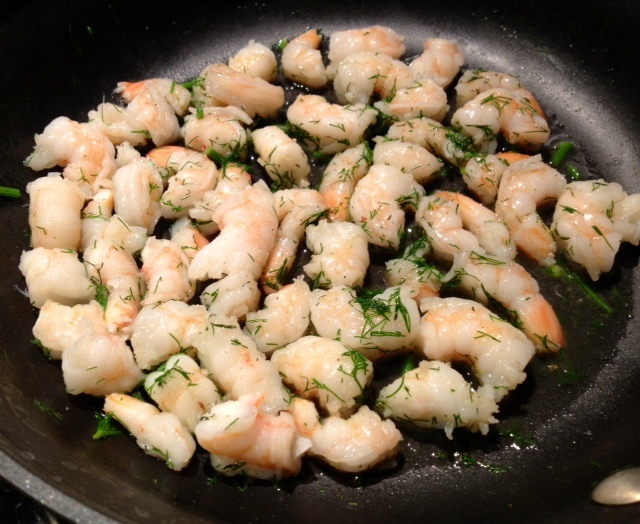 Add in the shrimp and half of the chopped dill and season with a dash of garlic salt. Cook the shrimp for about 3-5 minutes and then remove from the heat. 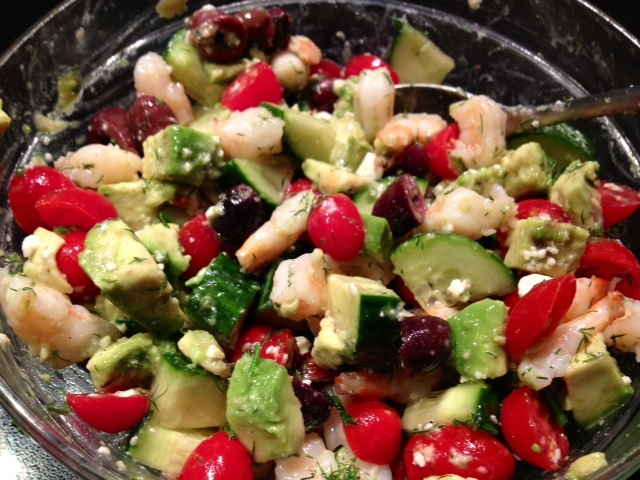 Allow the shrimp to cool to room temperature, then put them in a large mixing bowl and add the tomatoes, cucumber, feta, avocado, olives and the remaining dill. Add the lemon juice, a dash of garlic salt and black pepper and toss to combine. ← The Grand Finale! Honeymoon Part 6: Paris.